What follows is the video recording and text of a sermon shared on July 29, 2018 (Youth Sunday) at Alpha Baptist Church. The text is footnoted, and sources are listed in the bibliography. Though alpha uses the NIV, I try to work from my own translation of the Greek text to be thorough. Good afternoon. My brothers and sisters, it is truly an honor to stand before you humbly this Youth Sunday. It’s especially a blessing to see my young brothers and sisters leading us in worship today – training to become more effective ministers of the Gospel – as we all should be. Can we give them another round of applause? You know not too long ago I was standing where they stand on Youth Sunday, wearing the robes they wear, striving to serve the God we serve. Since that time, I’d be the first to tell you that I’ve made many mistakes in my life. I made mistakes when I was a teenager. I made mistakes when I was in my 20’s. I made mistakes yesterday. So, I come before you today as an imperfect man simply striving to share about the perfect word of God. I’m not trying to talk down to you, I’m just trying to level with you. And today, I want to ask one main question: What are we training for? What are we training for? Are we training ourselves to be worldly, or are we training ourselves to be godly? Are we training ourselves to resemble the culture, or are we training ourselves to resemble the Christ? Do we have a healthy spiritual diet and exercise routine? In short, are we Cross Training? May the words of my mouth and the meditation of my heart be acceptable in your sight, O LORD, my Rock, and my Redeemer (Ps 19:14, NASB). What are we training for? It seems to me that – whether we realize it or not – everyone is training for something. Correct me if I’m wrong, but to be a good praise dancer, don’t you have to make it a habit of practicing your routines? To be a good musician, don’t you have to make it a habit to practicing your rhythms and notes? To be a good choir, don’t you have to make it a habit of practicing your lyrics and harmonies? Whether you are in training for an academic competition, an athletic contest, or for a promotion at work, whatever your objective is, to reach it, one has to develop and maintain good habits. However, if we fail to develop and maintain good habits, this doesn’t just mean that we are failing to meet a certain objective, it means that we are training ourselves for an altogether different objective. For instance, if I have poor study habits, am I not training myself to be a poor student? If I slack off in practice am I not training myself to be a poor competitor? If I am always late to work and never follow directions am I not training myself to be a poor employee? Moreover, if someone always stays up all night playing video games instead of doing homework, what are they training for? They’re not training to get good grades; they’re training to get good at games. Their habits are training them towards a different objective. It seems to me that the habits we develop and maintain determine what we are training ourselves to be. So, my brothers and sisters, if we have unhealthy habits regarding our spiritual diet and exercise, are we not training ourselves to be spiritually unhealthy? If we have worldly habits, are we not training ourselves to be worldly? But if our goal is godliness, should we not try to train ourselves to be godly (cf. 1 Tim 4:7)? I believe the word is telling us that we need to be Cross Training – training ourselves to be faithful followers of the Lord. It can be tempting to let the world define what “faith” really means. Mark Twain famously wrote that faith is “believing what you know ain’t so.” Others think faith is believing “blindly” without evidence. Still others think faith is merely believing – intellectually – that something is true. But is this what biblical faith is all about? One of my favorite Christian authors tells a helpful and true story:1 A man named Jacob Stevens had been in prison for assault and was now out on parole. One night, Officer Mark Walker sees Stevens behind the wheel of a car that is swerving all over the road. When the policeman pulls him over, he detects the smell of alcohol, but he does not detect the .45 caliber pistol tucked in the man’s waistband. After the officer tells him to step out of the vehicle, Stevens pulls out his gun and points it right at the officer’s chest. He has no plan to go back to prison. Now who believes that bulletproof vests can stop bullets? I saw some pretty crazy videos on YouTube of vests stopping bullets – even at extremely close range. One guy didn’t even flinch. Beforehand, he believed that his vest could stop a bullet. But at that moment, he had to believe in his vest to save his life. And he lived to tell the tale. This account describes what is said to be the difference between belief that and belief in. Believing that something is true just requires intellectual agreement; believing in something to be true requires corresponding action. In short, biblical faith is not merely agreeing that Jesus is the Savior, it is putting our active trust in Jesus as the Savior. True faith is not merely thinking that Jesus is Lord, it is living like Jesus is Lord. Don’t you hate when you do someone a favor and they turn around and disrespect you? How many parents have used the line, “After everything I’ve done for you, this is how you’re going to treat me?” Don’t we hate when people are ungrateful? [The following is very similar material first written about in the post entitled “Grace” & “Faith” | Gifts Have Strings Attached] As you may recall, in the movie The Godfather, people would come to the Godfather asking for a favor. This favor was not something they could earn or pay for. But after the Godfather did the favor, they were expected to be loyal to the Godfather. This reflects the Roman Empire’s ancient system of patronage. In this system of patronage, you had patrons and you had clients. The more powerful patrons would do favors for the less powerful clients, and the clients were to respond with gratefulness. The New Testament writers use this patron-client language when speaking of grace and faith. That is, in response to the “grace” of our Godfather, that is, our Father God, we are to respond with “faithfulness.” Because God graciously sent His Son to die for our sins, that we may have everlasting life, we ought to respond faithfully – with loyalty, praise, and gratitude to our Lord. My brothers and sisters, we cannot accept Jesus as our Savior but deny Jesus as our Lord. To profess that “Jesus is Lord” means that we are not the “masters of our fates” or the “captains of our souls,” it means that we cannot live however we want, it means that we are not the lords of our lives (cf. Rom 12:1-2, 2 Cor 5:15). Culture says, “do what makes you happy;” Christ says: “do what makes you holy.” In Luke, He asks, “Why do you call me, ‘Lord, Lord,’ and do not do what I say?” (Lk 6:46). If we claim to be Christians, the goal we should be training for is faithfulness to our Lord, forever. And, faithfulness – believing in our Lord – means actively trusting and obeying our Lord. Trust and obey, for there’s no other way, to be happy in Jesus… but to trust and obey. With this in mind, let us turn to today’s text. Spiritually, the church in city of Corinth was out of shape. So, Paul is urging them to practice self-discipline while putting others before themselves, in order to be the most effective ministers of the Gospel as possible. In doing so, He uses athletic metaphors that would be very familiar to them, to get them to focus on their spiritual fitness. Now, the Apostle Paul is using figurative language to make his point, and it’s important not to press his analogies too far. He is not saying that we Christians are all racing each other, and only one of us is going to win the heavenly prize. 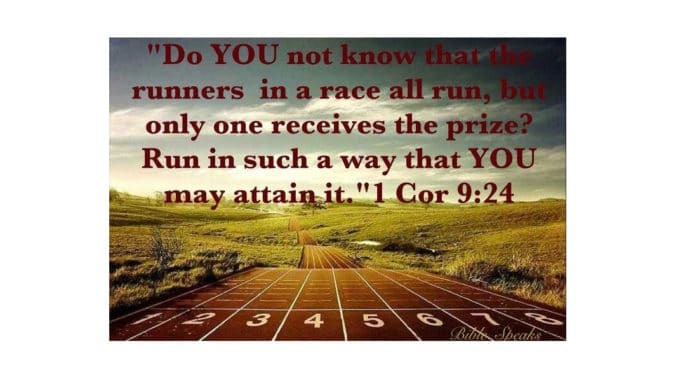 He is saying that just like runners strive to run as hard and as fast they can to win first prize, we, too, should run as hard and as fast as we can on our Christian race. When it comes to Cross Training, Paul is saying: don’t just try to be on the Honor Roll, be the valedictorian. Don’t just try to be a good worker, be the Employee of the Month. Don’t just try to win a medal, train to be a champion. His point is: we have to give our best. For doesn’t God deserve our best? Now in the ancient Greco-Roman world, there were four sacred athletic games. The most famous of these games was, of course, the Olympic Games. The Olympic Games would take place every four years, and they began way back in 776 BC. So, by the time Paul is writing 1 Corinthians around AD 54 or 55, athletes had been competing in such contests for almost 800 years. These were major events; so, athletes went into major training. The second most famous contest was the Isthmian Games. These Games were actually held every two years right in the city of Corinth. Thousands of visitors would pour into the city of Corinth to watch the athletes compete for glory. To prepare for this competition, it was mandatory for athletes to go into strict training for at least ten months. If they failed to do so, they would be disqualified. During this period of training, they had to religiously follow a strict diet and exercise routine. They had to exercise great self-control. And the word (ἐγκρατεύομαι | enkrateuomai) translated, “go into strict training” or, more literally, “exercise self control” means “to keep one’s emotions, impulses, or desires under control…” They had to be disciplined with both diet and exercise. How might this apply to us today? 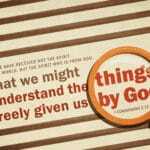 How can we apply Paul’s metaphor concerning godly diet and exercise? It seems to me that, concerning our spiritual diet, we have to be careful about what we feed our souls. On a daily basis, am I consuming more about culture or more about Christ? When I get into the car what am I listening to? When I turn on the television what am I watching? When I scroll through social media what am I reading? Ask me about my favorite shows and movies: I can tell you all about the main characters and main storylines. But can I tell you about the main characters and main storylines in the Bible? As a former DJ, I have over 19,000 songs in my iTunes library. I had to ask myself, do I know more verses from secular songs than verses from Scripture? Do I know more about the world than I know about the Word? What am I training for? As the old saying goes: “you are what you eat.” It seems that the things that we consume can influence our conduct. For example, in 2015, the Duke Men’s Basketball Team won the NCAA national championship. Several guys on the team had a certain hairstyle that many hadn’t seen before. They would have their hair longer and curlier on top, but shorter on the sides. Nowadays, you’ll see many young men sporting this same hairstyle that some call “The Duke Starting 5 cut.” Many would argue that they have been influenced by the Duke players. Back in my day, seemed like everyone wanted to have cornrows like Allen Iverson. So, I surprised my family one year by coming home from college with braids. Later, I started growing dreadlocks like the rapper, Lil Wayne. And, don’t you think that what we consume can influence much more than our hairstyle? Or how we dress? Maybe how we talk? How we walk? What behavior we think is acceptable? How we interact with men? How we interact with women? How we live? What influences us more: culturally-inspired opinions, or the divinely-inspired Word? Are we more influenced by Hollywood or by the Holy One? Therefore, we have to have disciplined habits of prayer, disciplined habits of study, and disciplined habits of faithful obedience to our Lord (cf. Rom 1:5). Like an athlete, in our Cross Training, we need to exercise self-control with a disciplined spiritual diet and exercise routine. 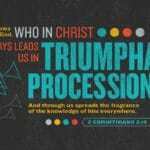 In the second half of verse 25 (1 Cor 9:25b), we read that “They do it to get a crown that will not last, but we do it to get a crown that will last forever” (NIV). Believe it or not, the crown the athletes were competing for was not made of gold; it was made of celery! My point is: not only will the Super Bowl trophy not last, the satisfaction from winning the Super Bowl trophy will not last. And, the Super Bowl was only five months ago. In contrast, how many of us are still thanking and praising and worshipping God for what Christ did on the cross 2000 years ago? All in all, Paul is basically telling the Corinthians, if the athletes go into strict training for a crown of vegetables, shouldn’t we go into strict training for a crown of everlasting, heavenly glory? “Therefore,” he says emphatically in verse 26 (1 Cor 9:26), “I do not run like someone running aimlessly;” (NIV). Paul is not running like someone who doesn’t know where the finish line is. As many would say today, his “eye is on the prize.” He is not someone who just goes out for a jog every once in a while. Everything he does is for the sake of the Gospel (cf. 1 Cor 9:23). Do you think LeBron James became LeBron James by playing pickup basketball every once in a while? How many times do you think Steph Curry has practiced his jump shot? How many times do you think Usain Bolt has practiced running around a track? How many times do you think Serena Williams has practiced her serve? Training to win takes discipline. Paul continues (1 Cor 9:26b), “I do not fight like a boxer beating the air” (NIV). Now, boxing was another major event at these Games. And these contests were very, very violent. So, the Corinthians knew that fighters couldn’t effectively train, just by shadowboxing. In other words, if we are Cross Training, we can’t just go through the motions. Everyone who goes to the gym is not necessarily training hard. Some people go to the gym just to socialize or to see people or to be seen. When I was a senior in high school, I couldn’t wait to go to college. Do you think I couldn’t wait to study hard? No, I couldn’t wait to party and get away from my parents! Just because I was in college didn’t necessarily mean I was training myself to be a good student. Likewise, just because we are in a church of Christ, doesn’t necessarily mean we are training ourselves to be like Christ. We can’t just go through the motions. Paul concludes this section by saying, “No, I strike a blow to my body and make it my slave so that after I have preached to others, I myself will not be disqualified for the prize.” (1 Cor 9:27, NIV). This, of course, does not mean that our bodies are inherently evil. Nor is Paul saying that he literally beats his body. Body can refer more broadly to how we live in our bodies. Paul is essentially saying: I put every facet of my daily life “under strict control” for the purpose of the Gospel. Now, scholars disagree about what Paul means by “crown” or “prize,” and “disqualified.” It’s controversial because, if the prize or crown that lasts forever represents eternal life, it might seem like Paul is suggesting that some people will somehow lose their salvation. We must always remember that grace, by definition, is unmerited, unearned favor. The grace of God is a gift, not something we work for. So, if we can’t earn it by works, we certainly won’t lose it by failing to do works. However, as we’ve already said, the grace of God is something we must respond to with faithfulness – with active trust in God, which includes faithful actions. If a husband is faithful, he necessarily demonstrates his faithfulness by his actions. If a wife is faithful, she necessarily demonstrates her faithfulness by her actions. If a follower of Christ is faithful, they necessarily demonstrate their faithfulness by their actions. True faith is faith in action. I would love to go into more detail about this at Bible Study on Wednesday Night, but for the sake of time I will say this: The New Testament tells us that those who have true faith will persevere in faithfulness to the end (Jn 6:39, 10:28, etc.). Are We In The Race? So, I think the more important question is, are we really running the race to begin with? Am I just going through the motions? Can I truly say I give my life to Christ if I am not truly trying to live my life like Christ? In 2 Corinthians 13 (2 Cor 13:5), Paul says “Examine yourselves to see whether you are in the faith; test yourselves. Do you not realize that Christ Jesus is in you—unless, of course, you fail the test?” (NIV) or, in other words: unless you are disqualified. So again I ask myself, am I truly Cross Training? What am I training for? Paul is saying that we need to exercise self-control in everything. Now, I don’t know about you, but that sounds pretty hard. Every single thing I do, I should do to the glory of God? (cf. Col 3:17, NIV). Every facet of my daily life needs to be brought under control for the sake of the Gospel? Easier said than done. Especially if you’re a teenager. You know, all of my cars have been teenagers. And, you know, sometimes teenagers don’t always like to cooperate. Just this past week, my car, who is now old enough to vote, said that she was too hot. So, she decides to just sit down in the middle of the road and not move. Let’s just say a lot of preparation for this sermon took place at Midas. My first car was also a teenager – a 1987 Nissan Sentra. It had rust spots, it had windows that you had to roll down with your hand, and it had a manual transmission. Nowadays, most cars are automatic; you just put your foot on the gas and the car automatically switches gears. Back in the day, as many of us know, you had to push the clutch pedal in, shift gears with the stick, then come off the clutch a little while at the same time giving it a little gas. If you came off the clutch pedal too fast, what would happen? The car would stall. Especially if you were starting from a dead stop. Now, when my Dad was teaching me how to drive, I stalled at almost every single red light. People are honking their horns as I’m scrambling to restart the car and get it going. It took me forever to learn how to drive a stick. It was hard. But after a while, it got easier. It may have been hard for us when we first learned how to drive, but after doing it day after day after day it becomes routine. My point is: what is hard today can be routine tomorrow. Today, it may be hard for us to consistently pray or read the Bible or memorize Scripture on our own. But, if we do it day after day after day, eventually it can become routine. Furthermore, we are not really on our own. Paul reminds us in Galatians 5 that the fruit of the Spirit is “love, joy, peace, [patience], kindness, goodness, faithfulness, gentleness and self-control” (Gal 5:22-23, NIV). If we don’t resist (cf. Ac 7:51), we can be empowered to have Christ-like self-control by the Holy Spirit. So, though it may seem hard, especially at first, we have a Holy Helper to help us in our Cross Training. So, in conclusion, I ask again. What are we training for? Are we training ourselves to resemble culture or are we training ourselves to resemble Christ? Are we developing and maintaining worldly habits or are we developing and maintaining godly habits? If we profess that “Jesus is Lord”, we ought to be Cross Training as hard as we can– in order to be faithful followers of our Lord forever. Paul says that we should run the Christian race as if we were trying to win first prize – a way that requires discipline and self-control. We must have a healthy, spiritual diet and exercise routine, so that we might bring every facet of our lives under control for the sake of the Gospel – with the help of the Holy Spirit. We must Cross Train so that we may be found to be Cross Fit – and hear Jesus say on the Last Day, “Well done, good and faithful servant!” (Mt 25:23, NIV). May God Bless you. Blomberg, Craig. 1 Corinthians. The NIV Application Commentary. Grand Rapids, MI: Zondervan Publishing House, 1994. Ciampa, Roy E., and Brian S. Rosner. The First Letter to the Corinthians. The Pillar New Testament Commentary. 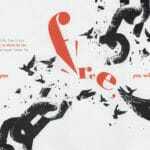 Grand Rapids, MI; Cambridge, U.K.: William B. Eerdmans Publishing Company, 2010. Dockery, David S., ed. Holman Bible Handbook. Nashville, TN: Holman Bible Publishers, 1992. Fee, Gordon D. The First Epistle to the Corinthians. Edited by Ned B. Stonehouse, F. F. Bruce, Gordon D. Fee, and Joel B. Green. Revised Edition. The New International Commentary on the New Testament. Grand Rapids, MI; Cambridge, U.K.: William B. Eerdmans Publishing Company, 2014. France, R. T. Matthew: An Introduction and Commentary. Vol. 1. Tyndale New Testament Commentaries. Downers Grove, IL: InterVarsity Press, 1985. Freeman, James M., and Harold J. Chadwick. Manners & Customs of the Bible. North Brunswick, NJ: Bridge-Logos Publishers, 1998. Morris, Leon. 1 Corinthians: An Introduction and Commentary. Vol. 7. Tyndale New Testament Commentaries. Downers Grove, IL: InterVarsity Press, 1985. Prior, David. The Message of 1 Corinthians: Life in the Local Church. The Bible Speaks Today. Leicester, England; Downers Grove, IL: InterVarsity Press, 1985. Richards, E. Randolph, and Brandon J. O’Brien. Misreading Scripture with Western Eyes: Removing Cultural Blinders to Better Understand the Bible. Downers Grove, IL: InterVarsity Press, 2012. Simmons, William A. Peoples of the New Testament World: An Illustrated Guide. Peabody, MA: Hendrickson Publishers, 2008. Taylor, Mark. 1 Corinthians. Edited by E. Ray Clendenen. Vol. 28. The New American Commentary. Nashville, TN: B&H Publishing Group, 2014. Thiselton, Anthony C. The First Epistle to the Corinthians: A Commentary on the Greek Text. New International Greek Testament Commentary. Grand Rapids, MI: W.B. Eerdmans, 2000. Vaughan, Curtis, and Thomas D. Lea. 1 Corinthians. Founders Study Guide Commentary. Cape Coral, FL: Founders Press, 2002. Wallace, J. Warner. Cold-Case Christianity: A Homicide Detective Investigates the Claims of the Gospels. David C. Cook. Kindle Edition. 2013. Water, Mark. The New Encyclopedia of Christian Quotations. Alresford, Hampshire: John Hunt Publishers Ltd, 2000. Winter, Bruce. “1 Corinthians.” In New Bible Commentary: 21st Century Edition, edited by D. A. Carson, R. T. France, J. A. Motyer, and G. J. Wenham, 4th ed., 1161–87. Leicester, England; Downers Grove, IL: Inter-Varsity Press, 1994. J. Warner Wallace, Cold-Case Christianity: A Homicide Detective Investigates the Claims of the Gospels (Kindle Locations 111-112), (David C. Cook, Kindle Edition, 2013). E. Randolph Richards and Brandon J. O’Brien, Misreading Scripture with Western Eyes: Removing Cultural Blinders to Better Understand the Bible (Downers Grove, IL: InterVarsity Press, 2012), 83. Especially concerning matters of sexual immorality (1 Corinthians 5, 6:9-20, 10:8, etc.) and idolatry (1 Corinthians 8, 10:7, etc.). “Paul now begins to deal with the issue of the dangers of the sexual misconduct that was such a feature of feasts in the temple.” Bruce Winter, “1 Corinthians,” in New Bible Commentary: 21st Century Edition, ed. D. A. Carson et al., 4th ed. (Leicester, England; Downers Grove, IL: Inter-Varsity Press, 1994), 1176. “Spiritually flabby.” David Prior, The Message of 1 Corinthians: Life in the Local Church, The Bible Speaks Today (Leicester, England; Downers Grove, IL: InterVarsity Press, 1985), 163. Mark Taylor, 1 Corinthians, ed. E. Ray Clendenen, vol. 28, The New American Commentary (Nashville, TN: B&H Publishing Group, 2014), 223. Author’s translation but cf. NRSV, ESV, HCSB, NASB, etc. Cf. “‘run to win’ (24) is Paul’s watchword.” Prior, 163 cf. Taylor, 222. “would be dangerous, of course, to overinterpret the athletic metaphor, as though every facet of the athlete’s situation (or even most or many of them) found an exact parallel in the life of the Christian.” Roy E. Ciampa and Brian S. Rosner, The First Letter to the Corinthians, The Pillar New Testament Commentary (Grand Rapids, MI; Cambridge, U.K.: William B. Eerdmans Publishing Company, 2010), 437. “especially his point does not lie with the fact that only one receives the prize, as though the Christian life were a competition of some sort.” Gordon D. Fee, The First Epistle to the Corinthians, ed. Ned B. Stonehouse et al., Revised Edition, The New International Commentary on the New Testament (Grand Rapids, MI; Cambridge, U.K.: William B. Eerdmans Publishing Company, 2014), 480–481. “The point, of course, is not to suggest that Christians are to think of each other as competitors, seeking to win a prize that might otherwise go to a brother or sister in Christ!” Ciampa and Rosner, 438. “Paul scarcely imagines that there will be only one faithful Christian on Judgment Day!” Craig Blomberg, 1 Corinthians, The NIV Application Commentary (Grand Rapids, MI: Zondervan Publishing House, 1994), 185. Leon Morris, 1 Corinthians: An Introduction and Commentary, vol. 7, Tyndale New Testament Commentaries (Downers Grove, IL: InterVarsity Press, 1985), 138. “In this present example it would be absurd to suggest that only one believer receives the prize out of all those who enter the race. Here Paul’s primary point has to do with how one runs the race.” Taylor, 223. “Paul’s point is that, like the runner, the Christian must give of his best.” Morris, 138. “the others being the Olympic, Pythian, and Nemean games.” Ciampa and Rosner, 436. “Among the four sacred games of the ancient Greeks, the Olympic and the Isthmian were the most celebrated, the former taking the precedence.” James M. Freeman and Harold J. Chadwick, Manners & Customs of the Bible (North Brunswick, NJ: Bridge-Logos Publishers, 1998), 539. “The Corinthian letter to Paul was probably delivered to him in Ephesus by Stephanas, Fortunatus, and Achaicus (16:8, 17), and from Ephesus Paul wrote his response, either in the spring of AD 54 or 55.” Taylor, 21. “Corinth itself hosted major games for all Greece every two years on the isthmus; these were the best-attended Greek festivals next to the Olympic games.” Keener, 1 Cor 9:24-25. Including A.D. 49 and 51. Ciampa and Rosner, 436. Morris, 138. Taylor, 222. Keener, 1 Cor 9:24-25 cf. Freeman and Chadwick, 539. In a footnote: “See Plato, leg. 840a. This was at least true for the Olympiad; there is no reason to think otherwise at Isthmia. For athletic training in general, see Harris, Athletes, 170–78.” Fee, 481. Greek Stoic philosopher, Epictectus wrote, “Would you be a victor in the Olympic games? so in good truth would I, for it is a glorious thing; but pray consider what must go before, and what may follow, and so proceed to the attempt. You must then live by rule, eat what will be disagreeable, refrain from delicacies; you must oblige yourself to constant exercises at the appointed hour, in heat and cold; you must abstain from wine and cold liquors; in a word, you must be as submissive to all direction of your master as to those of a physician.” Freeman and Chadwick, 539. William Arndt et al., A Greek-English Lexicon of the New Testament and Other Early Christian Literature (Chicago: University of Chicago Press, 2000), 274. In addition, ancient athletes had to exercise self-discipline in two areas that were issues in the church in Corinth – diet and sexual behavior. Ciampa and Rosner, 438. Jahlil Okafor interview with Complex: “A lot of people seem to have your haircut now. Someone on Twitter called it “The Duke Starting 5” cut. Are you a hair trendsetter? If not, where’d you get the inspiration from? Ciampa and Rosner, 439. Or pine. Morris, 138. Cf. Prior, 163. “There is strong evidence that at the Isthmian Games the crown or garland given to the winner was made first from plastered pine leaves, although perhaps later from ‘celery’.” Anthony C. Thiselton, The First Epistle to the Corinthians: A Commentary on the Greek Text, New International Greek Testament Commentary (Grand Rapids, MI: W.B. Eerdmans, 2000), 713. “the figure is intended to impress upon them that the goal, being eternal in nature, is of such value that it should affect the way they live in the present.” Fee, 482. “Today we might say: I play with my eye on the ball, or with my eye clearly on the target.” Thiselton, 714. Keener, 1 Cor 9:26-27. “So too he likens his struggle to a boxer who dare not shadow box or miss too many punches if he intends to knock out his opponent (v. 26b).” Blomberg, 185. “It was customary for the boxers while training to strike out at an imaginary adversary merely for exercise. This was ‘beating the air.’” Freman and Chadwick, 540. Cf. Thiselton, 715. “to put under strict discipline, punish, treat roughly, torment,” BDAG, 1043. Thiselton, 715. “I make it obey me (New Life),” BDAG, 259. “This does not mean that he saw the body as evil. That is not a Christian position. Paul is saying emphatically that the body must be controlled.” Morris, 138. Prior, 164. “he hardly intends them to understand his physical body as such as the “opponent” he must subdue in order to gain the prize.” Fee, 484. “He uses “body” because of the metaphor; what he almost certainly intends by it is “myself,” as before (v. 19), which would include the body, but only as it is the vehicle of his present earthly life.” Fee, 484. “The whole of everyday life must be held captive to the purposes of the gospel.” Thiselton, 716. “under strict control, NJB, REB.” Thiselton, 716..
 “Does Paul fear that he might be rejected from the contest altogether if he fails to run a disciplined race, that is, the ultimate outcome might be the loss of eschatological salvation? Or does the notion of being “unapproved” have more to do with Paul’s role as an effective herald of the gospel and the Lord’s final verdict on one entrusted with a stewardship?” Taylor, 223. Paul’s fear was not that he might lose his salvation, but that he might suffer loss through failing to satisfy his Lord (cf. 3:15).” Morris, 138. Prior and Thiselton agree. Prior, 163. Thiselton, 716-717. Taylor sums up the view: “To infer that “disqualification” in this context means the ultimate loss of salvation is to push the analogy a bit far.” Taylor, 224. Blomberg also points to 1 Corinthians 3:15 “More probably, ‘disqualified’ (adokimos) should be interpreted in light of the other reference to testing in the context of Judgment Day in 1 Corinthians (3:12–15). There Paul says God will “test” (dokimasei; v. 13) believers’ works and give out corresponding praise or censure…But neither one’s salvation nor eternal status in heaven is at stake.” Blomberg, 185. However, I, perhaps like Keener, find it hard to believe that there is a more plausible alternative to eternal life for the metaphorical meaning of a “crown that lasts forever.” “Paul had to discipline his life to sacrifice what he needed to sacrifice for the sake of the gospel, lest he himself be disqualified from the race and fall short of the wreath of eternal life.” Keener, 1 Cor 9:26-27 (emphasis added). According to Fee: “But does Paul actually mean that one can fail to obtain the prize? Some would say no, but usually because of a prior theological commitment, not because of what the text itself says.” Fee, 485-486. Ciampa and Rosner seem to agree. “The image of falling…is used both in Philo and Paul to refer to ultimate divine rejection.” They do see Paul as warning against apostasy and, I think, rightly say that “one of the ways in which God secures the perseverance of believers is by such stern warnings.” Ciampa and Rosner, 442. The nuanced view held by Millard Erickson, William Lane Craig, and other scholars I respect is this: Believers can ultimately fall away from the truth (cf. Jas 5:19-20), but they won’t. Most people, for instance, have the capacity to kill someone. But most people won’t. So, just because we are assured that true believers will persevere to (or at least in) the end, this does not mean that it is impossible for them not to do so. And, the warnings we find in Scripture (cf. Hebrews 6:4-8), can be some of the very means by which God providentially ordains that none who truly believe are lost. This is why James says so-called “faith” without action is dead (Jas 2:14-26). And this is why, in the first chapter of Romans, Paul says “…we received grace and apostleship to call all the Gentiles to the obedience that comes from faith for his name’s sake” (Rom 1:5, NIV). “The third section (vv. 21–23) makes more explicit the point of v. 19, the ultimate rejection of those whose discipleship was only superficial. It relates not only to the false prophets of v. 15, but to any spurious profession of discipleship. The criterion for entry to the kingdom of heaven (cf. ‘entering into life’ in vv. 13–14) is, as vv. 16–18ff. have shown, practical obedience, not an appeal to Jesus as Lord, however urgent (cf. 25:11 for equally urgent and equally fruitless repetition).” R. T. France, Matthew: An Introduction and Commentary, vol. 1, Tyndale New Testament Commentaries (Downers Grove, IL: InterVarsity Press, 1985), 152. “It is certainly the case that there are many in the church who profess faith in Christ but who do not possess genuine faith.” And, in a footnote, “Matt 7:21–27, Jas 2:14-26, 1 John 2:3-5” Taylor, 224. And, the word translated “fail the test” is the same word (ἀδόκιμος | adokimos) translated “disqualified.” Taylor, 224. And the word translated “go into strict training” (ἐγκρατεύομαι | enkrateuomai) has the same root as the word translated “self-control” (ἐγκράτεια | enkrateia). “Winning requires discipline, even for the best of athletes.” Fee, 482. Don’t you know that in a stadium all the runners run but only one gets the prize. Likewise, run to win. Everyone who competes exercises self-control in everything. They do so for a crown that is perishable. We do so for one that is imperishable. Therefore, I, likewise, do not run aimlessly, nor do I box like beating air. Rather, I strike my body and make it my slave — lest after I have preached to others, I myself will not be disqualified. The following is from Cold-Case Christianity. Click here for more information and a free audiobook via Audible. Barbara Aland et al., eds., The Greek New Testament, Fifth Revised Edition (Stuttgart, Germany: Deutsche Bibelgesellschaft, 2014), 1 Co 9:24–27.